Frames can make or break a picture. Our aim is always to frame your artwork in a way that makes it look its best. So whether it’s a pastel with sentimental value, or an oil painting with big financial value, you can trust us to choose the best frame and preserve its integrity. We hand stretch all our canvases over made-to-measure bars. We also have specialty stretchers that can be adjusted to maintain the long-term integrity of your canvas. From glossy portfolio pieces or antique heirlooms, to the kid’s school picture for grandma, we’ll help you bring your photos into perfect focus. At Frame Set Match, we understand that you care about the artwork you hang on your wall. That is where Frame Set and Match comes in. The framing of your artwork can greatly affect the aesthetics and impact of the art. 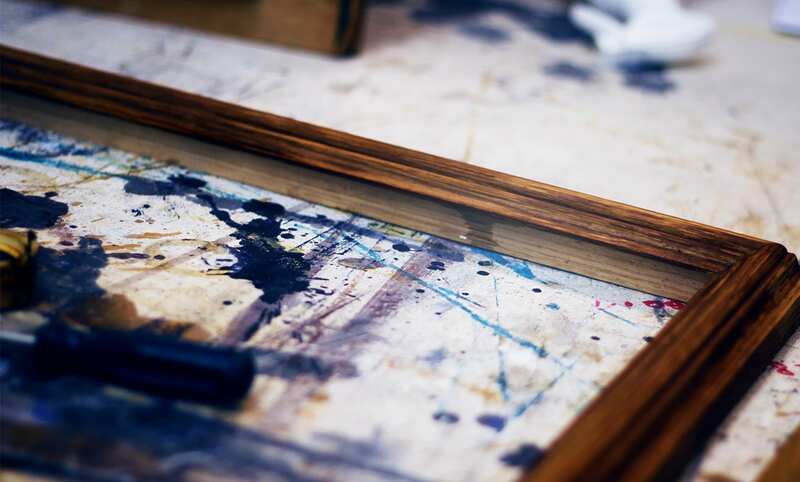 Regardless of the type of artwork you’re looking to preserve and showcase, the quality and style of your painting frames matter. At Frame Set and Match, we take great care in putting your artwork into a frame that truly makes it shine. We love artwork — almost as much as we love helping preserve your keepsakes — and we want to ensure that it looks great wherever you hang it! We understand that artwork, whether old or new, is precious. Frame Set Match’s process of framing your beautiful artwork is quite simple. Ordering your very own bespoke picture frame is easy! By simply calling or emailing us, via our contact page on our website, you can get easily get started on placing an order for your very own unique, quality and timeless frame!